Making the decision to bring outside assistance into your home and remain home instead can be challenging. With so many questions to ask and so many options to choose from, finding the right home health care provider that offers compassion, capability, and shares your desire to be home instead of other care facilities can overwhelm any family. The resources provided here are to help you answer those questions so you can make the best choices for you or your loved ones. Wherever you are, whatever questions you have, home health experts at Align Home Health can assist you in identifying your needs, discuss your options and determine a play that will allow you remain home instead of moving to a facility. You can contact us at any time. We are always available by phone to help 24 hours a day, 7 days a week. Home Care covers a broad range of services, but at its essence refers to direct care assistance provided to a person in the comfort of their home instead of other facilities like nursing homes. A well-organized home care plan allows individuals to maintain their independence and lifestyle while receiving the personalized care they need. Align Home Health offers a complete range of home health care services from simple household tasks to all activities of daily living, a few hours a week to around-the-clock care. For a full range of services, visit our Services page or give us a call with any questions you might have. We’re available 24/7 to answer your call. Is Care at Home Instead of a Facility Right for Us? One of the first choices for many families that can no longer fully care for a family member is considering in-home care. It is an ideal choice for providing family caregivers with some extra help when they cannot stay home, or when an elderly spouse can no longer take care of the needs of their significant other. 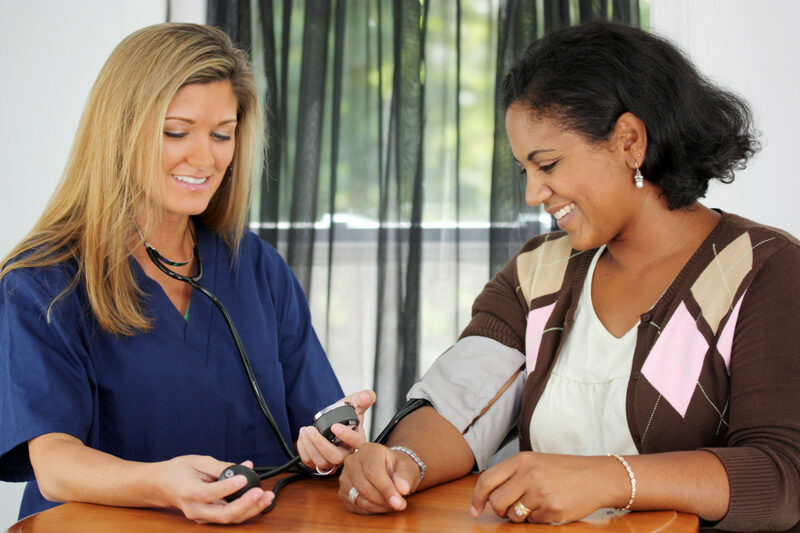 Align Home Health is a private duty agency accepting cash, check, and credit card. Because in-home care costs can sometimes be confusing, Align offers a number of options to help manage your home care costs and we will work with you to create a plan that meets your individual needs. Accessing care services at home instead of a facility is as easy as calling Align’s 24/7 phone number and speaking with our homecare experts. Align team members are always available to speak with you. We will discuss your needs, set up a complimentary consultation, and assign an appropriate caregiver when you are ready to start your services. Our experts can also be reached by email and will respond to email inquiries in a timely manner. Other Resources to Help Stay Home Instead? Area Agency on Aging – Assists Montgomery, Greene, and Clark County residents remain home instead. Greene Council on Aging – Helps Greene Country residents remain home instead.